See below for full list of Azawakh characteristics! Hailing from the Sahel region of the Sahara Desert, the proud and elegant Azawakh has long been a guardian, hunter, and companion to tribes in that region. He's named for the Azawakh valley in the Sahara. 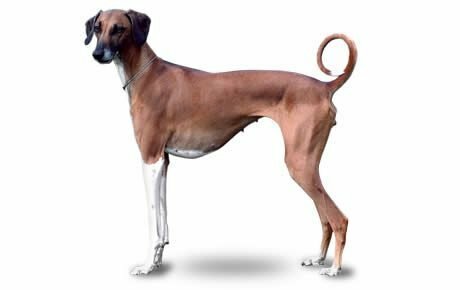 Because they're sighthounds, they're attracted by motion and are likely to chase animals, people on bicycles or skateboards, or even running children. On the other hand, these lean, muscular dogs make excellent companions for joggers and runners. Indoors, they're fairly inactive and are content to snooze on the couch. 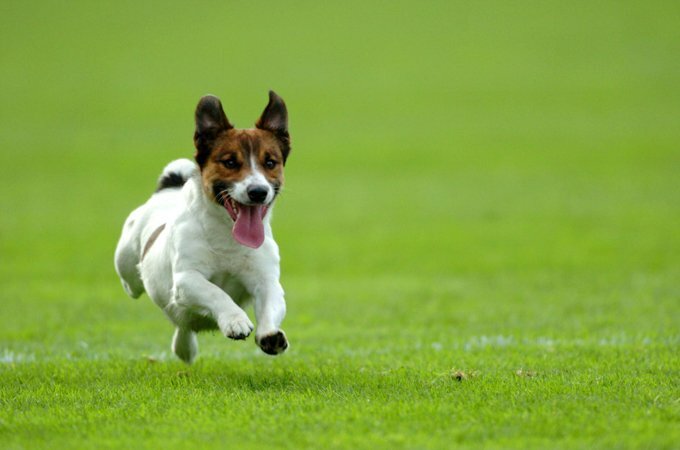 They're best suited to a home with a large fenced yard or a nearby fenced park where they can run flat out. They need at least a half hour a day of active exercise or play and, although it may seem like a slight to their dignity, you'll need to outfit your Azawakh in a sweater before heading out in cold weather. With their short hair and low body fat, they get chilled easily. Males stand 25 to 29 inches at the shoulder and weigh 44 to 55 pounds; females are 23.5 to 27.5 inches tall and weigh 33 to 44 pounds. The short, smooth Azawakh coat comes in a variety of colors, including clear sand to dark red, white, black, blue, gray, brindle, grizzle, parti-color and all shades of brown, including chocolate. The stomach may be hairless. A once-over with a hound glove should keep your Azawakh's coat looking good. Regular shampooing isn't necessary, but when you do give them a bath, use a mild, hypoallergenic shampoo as they tend to have sensitive skin.